Quilting Land: 5 Tips to Make Patchwork Work! 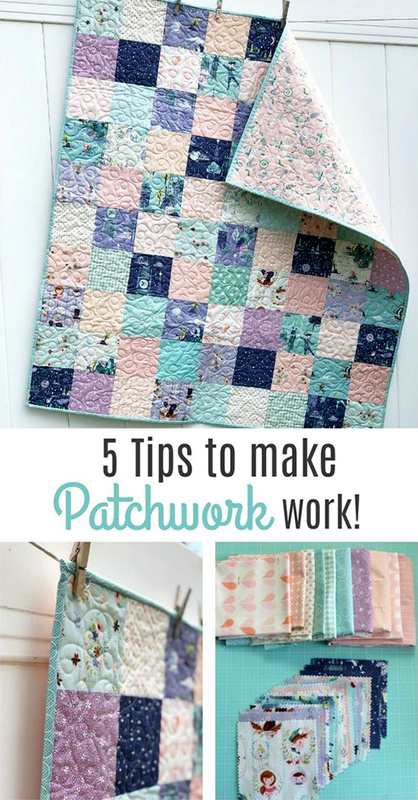 5 Tips to Make Patchwork Work! Use Precuts for variety and saving time, The Scrappier the Better, Boost your precuts with fabric from your stash, Use Blenders – show-off the divas, Use fabrics with a variety of scales and textures. Full Post: 5 Tips to Make Patchwork Work!